The Burn and the Bloat: Part 4: IgG get the test enjoy the GAINZ! Back in January I wrote about food intolerance a.k.a. food sensitivities. It has now been over six months of following the guidelines of my food intolerances and I wanted to give a report on what I have found. In this six months I have also found a reliable and accurate method (PinnerTest USA) for all of us to have food intolerance testing done. No healthcare provider needed! I will give you my report on this later in the blog! I worked hard on keeping many of these foods out of my daily nutrition because of how well I was feeling. 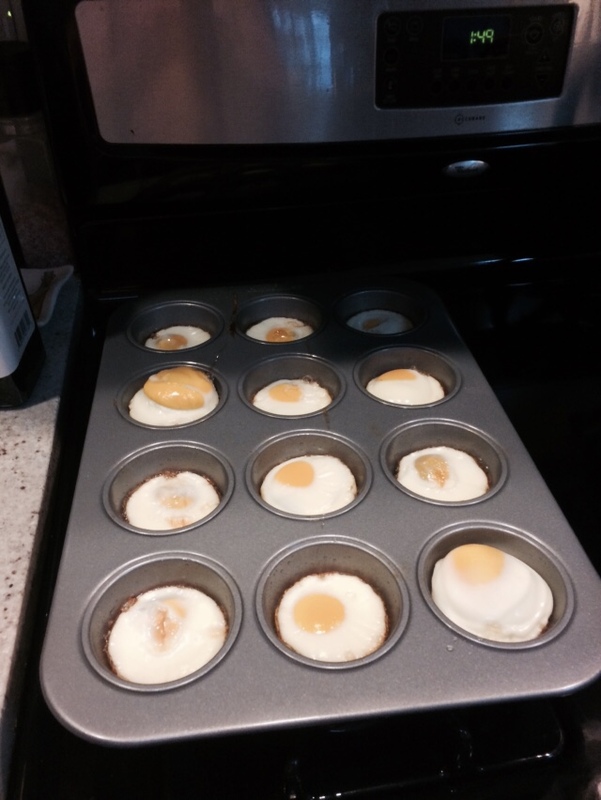 Lots of planning and preparation…I experimented with new foods and also my breakfast menu on a daily basis. I truly feel that working with foods that help you progress and feel well in life will help your overall vitality, resilience, strength, and energy levels. They also aid in keeping inflammation low and this is key to helping your body maintain great health. I am not going to lie. This was a challenge and the list above was just a handful of the approximately fifty(50) foods that the traditional IgG ELISA tests was reporting I had intolerance. I focused on taking out the major 3s, and 2s in my daily nutrition. Unfortunately this left me with a limited supply of foods to vary in my diet. I was happy with the result of the testing but continued to due to my research on food intolerance and methods of testing. (Of which I will admit…there is not much in the literature yet on IgG. But the evidence is developing and gaining momentum.) I guess its just the scholar in me…continuing to read, review and develop some hypothesis about my nutrition. As I was reading and reviewing the methods of testing I came across a method of testing for IgG intolerances that uses a microarray method. Protein microarrays are more similar to ELISA. The proteins in a sample are not fractionated prior to the assay. In constructing microarrays, the proteins are deposited in small (100-300 um) spots on a specially coated microscope slide. The slide is often coated with a polymer like nitrocellulose, or gel that increases the binding capacity of the protein. Microarrays offer advantages of higher throughput, multiplex analysis, low reagent consumption, high sensitivity and lower sample requirement compared to ELISA assays. The only company using the microarray method in the USA is Pinnertest. Pinnertest is a method of having your food intolerances tested without the need to visit a physician. This testing has full approval of the FDA and has been used for years by many health care providers and nutrition experts in Europe. Pinnertest is “The Next Generation Food Intolerance Test”. It is a Microarray IgG method Lab test that reports intolerances for 200 food items. It is the standard protocol for most Nutritionists in Europe and has reached approximately a half million clients. Many Europeans take a Pinnertest before creating their diet plan. The difference between Pinnertest and old technology Food Intolerance Tests, is due to the latest update on our micro chip test method, Pinnertest can accurately identify the Temporary and Permanent food intolerances. Wheat (2) This is not related to Gluten. The pinnertest showed I had a food intolerance to only 3 foods and the most sensitive being vanilla! Three(3) foods! I was a little skeptical as I read the results but I did have an intolerance to Wheat and Tomato in my traditional ELISA. So there was a correlation and Vanilla just was not measured in my traditional ELISA. One drop of blood to gain a wealth of nutrition information! So what happen to the other 47 foods my traditional ELISA reported I had intolerance to? Well, the microarray method is a way of determining short term inflammation and long term inflammation. Short term being a normal reaction to food intake and long term being a chronic effect from eating a particular food and causing long term inflammation the body has a hard time managing and possible relating to long term chronic inflammation in the digestive system or other areas of the body. Having short term and long term inflammation markers is normal in our body. I will relate this process to exercise. When you exercise you have a normal short term inflammation reaction. This is a good thing…it tells the body you were active…sends appropriate chemical signals and cells to the area, the body then manages and rebuilds. This is where hiring a qualified strength coach, trainer and rehabilitation specialist comes into appropriate planning and programing of your exercise and/or rehabilitation. He or she looks at the level you are entering exercise and then writes a sustainable program. An example of long term inflammation is when you develop an injury from exercise or sport. Chronic exposure to a certain movement that overrides the bodies ability to rebuild, restructure, and mange the inflammation will lead to injury and dysfunction. A well seasoned coach and/or trainer will recognize this and regress the movement to allow for the body to manage the long term inflammation and allow to recover. Or in some cases eliminate the movement from your exercise routine all together…because…the risk and reward relationship is just not good. You always want the reward to be greater than the risk! Now lets take this over to food. As you intake a certain food, your body will have a normal inflammation response…the response will lead to utilization of that food to rebuild and nourish your body (it is much more complicate than that, but this blog and post is not about getting too much into the physiology). A long term chronic effect can lead to significant health issues, such as migraine headache, obesity, diabetes, joint and muscle pain, and possible auto immune disease. So now the big question! Did this relate or effect my training? Absolutely! Since January I have noticed small and significant changes in my training and daily life. My training has both improved in mobility and strength. The consistent and sustainable mobility drills along with strength training has allowed for growth in both areas. As I started out in January and I first made a few changes with my IgG nutrition plan I started small and light in all my training. Placing most of my focus and strengths into my nutrition changes and allowing my body to accept and adapt to the changes I was placing on it. You cannot stress too many areas in your body and expect them all to change. My main focus was to decrease the IgG inflammation and dial in my food. This worked great. I had nice training sessions and I fell into a nice pattern of nutrition. I felt my body begin to make some changes. It really became evident at about 10 weeks. Which makes sense in a physiological way. Without getting into too much into physiological detail, it takes about 53 days for a fibroblast cell to live. So the introduction of the new foods and training began sending the appropriate signals to the areas to begin rebuilding. Around 10 weeks is 70 days…my body was beginning to replace the older tissue with new healthier tissue. My body was responding to appropriate changes both in exercise and nutrition. This was a great feeling. I was also feeling less bloat and better energy levels. This makes sense…as my body was actually using the food for energy and not fighting against this as an invader! I was very happy. Then came my pinnertest results and I dialed these findings into my training. I switched my protein powder from vanilla flavor to chocolate (I use VEGA Sport). This switch was substantial and I noticed some big changes in a matter of a few days. I dropped about 3 pounds and measured a 1/2 inch decrease in my area around my navel. No lie…a 1/2 inch! Again, I had worked out all the 3s from my previous testing and had no idea about vanilla. I also began to test the water on some of the 3s from my previous ELISA testing. I looked at some of the 3s and decided to add one back into my nutrition plan to see if I could notice an effect. I chose almond butter. 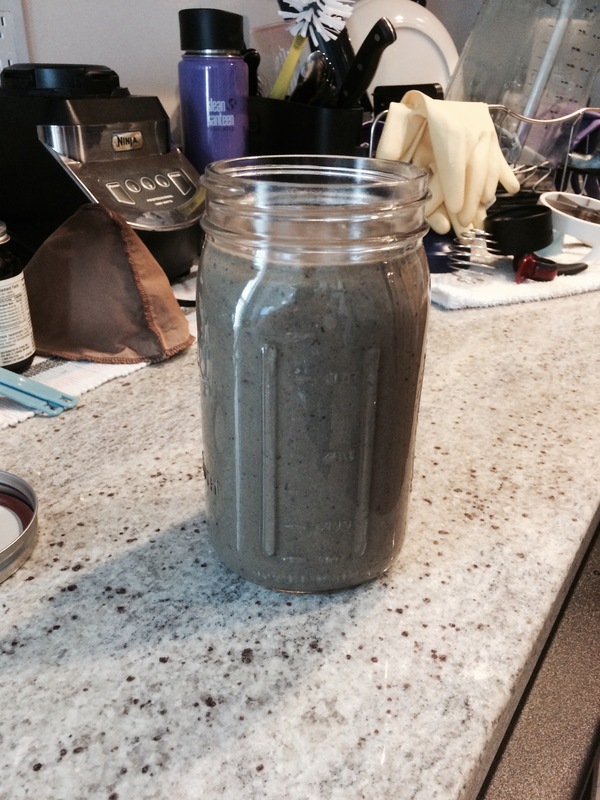 In the morning I worked back in a 1/2 tablespoon of almond butter to my morning whole food nutritional shake. About mid-day is when I noticed the almond butter had no effect on me and even into the next 2-3 days there were no adverse side effects. I did add in some tomato and a little wheat as well. These did have an effect. Mainly on a feeling of bloat and sluggish. One final area I tested was adding back in dill pickles. Dill was actually a 2 on my traditional ELISA testing and on the pinnertest it showed no reaction. I know it sounds funny but I really enjoy pickles and this was one food I really missed. The fact is, I am an small town upstate NY guy…born and raise 1/2 Polish and my grandfather used to make amazing homemade pickles. I have been eating pickles my whole life. I added back in the dill pickle and it had no reaction! I was happy….and my girlfriend and co-owner of Iron Body Studios Artemis jokes with me regularly on my satisfaction with consuming pickles! Don’t even get me stared about Kielbasa. I know it, I eat it, I love it, and I can tell you the best out there comes from Utica NY. So what is my recommendation. I strongly recommend anyone that notices issues arise from eating certain foods to think about and commit to having the pinnertest done. The pinnertest is simple and very accurate. These can all be indicators of having a possible food intolerance and investing in the testing can help you for the rest of your life and also aid in your goal of becoming the healthiest version of YOU. Please remember, nutrition is not a cookie cutter program. You can’t google the latest tuna and toast diet and expect it to give you wonderful results. Do you really just want to eat tuna and toast your whole life? Heck NO! You must find what works well with your body and helps you to be great! Sustainable nutrition is the key. If you are interested in a pinnertest I urge you to take a look at the website. Click HERE to see the Pinnertest website and the microarray IgG test they offer. If you want to purchase the pinnertest for 10% off the retail price please contact me by filling out the form at the end of this blog article. I believe in this product and I feel it can help everyone to have this information about IgG inflammation. 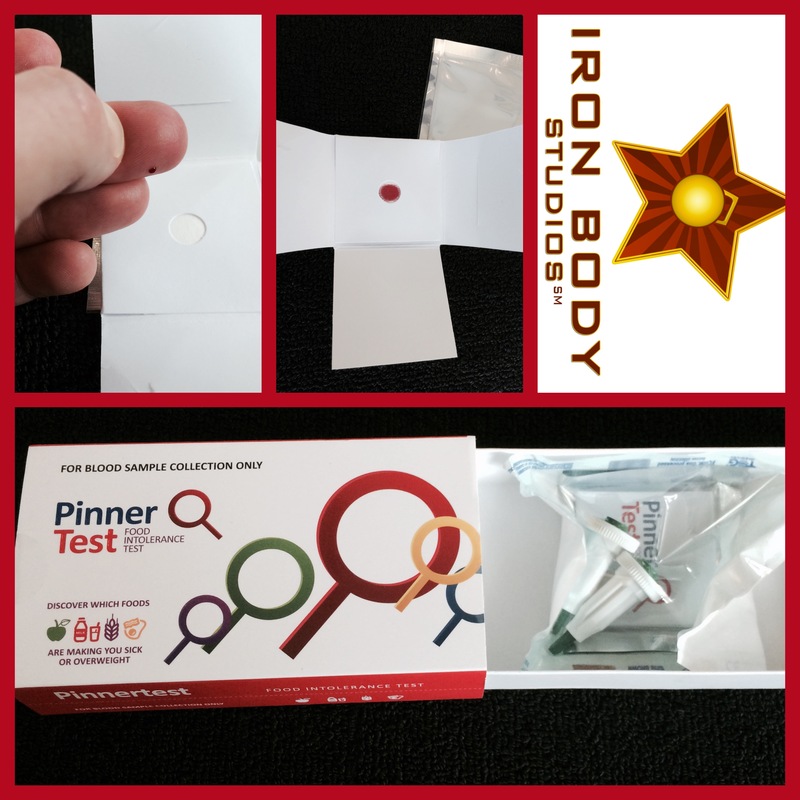 Contact me to purchase the pinnertest I will email you a 10% discount code for purchase. I am also offering anyone that uses my 10% discount code a single complimentary 45 minute skype or FaceTime session to discuss your results and how to develop a strong game plan to overcome your food intolerance. We will also touch on exercise that pairs well as your transition into the new nutritional path! Once you purchase and receive your results, you will share them with me in confidentiality via email. We will then schedule your single 45 minute consultation. You will not get this single ($100.00 value) complimentary session with anyone else offering this test. My 15 years experience as an athletic trainer will help to dial in your results and eliminate any IgG inflammation in your body. Let me help you to feel better, move better, perform better, and move stronger! An even easier way to get started is to fill out the contact form and I will send you your 10% off promotional code. Candida and food intolerances can be a very difficult condition to over come in your personal health. Making it even more complicated is determining what is the best modality for exercise to aid in the elimination and recovery from these conditions. I discussed this in length within my blog Candida: byproduct of a lowered immune. A nutritional approach I feel is the best and most sustainable approach to begin lowering and managing the condition. Once you have the nutritional approach down it is essential to find a professional to begin teaching and training you in sustainable fitness. Notice I say sustainable in both nutrition and fitness. Finding a sustainable approach to both will lead to lifestyle changes and also to years of success in managing several areas of your life, not just Candida. A sustainable exercise approach to overcoming Candida and food intolerances begins with an assessment of your movement patterns and level of fitness. Having a professional assess your fitness and movement will allow you to begin at a level particular to your goals. Performance based goals will almost always lead to success in fitness. Just like performance based goals lead to success in your candida nutrition and elimination. If you have battled for years with an over growth of candida and food intolerances you have to recognize that jumping right into an intense exercise program will not maximize your success. Many times when I work with clients recovering from this condition we begin with a gentle approach to training and moving. The reason I take this approach and see success with this is the physiological nature of what is happening in your body. As you begin to work in a new nutrition plan for candida elimination and food intolerances; the body is working hard on recovering and repairing the inside. This may be in your GI or your joints or even in your muscles. The body is working to heal the deep inner organs and control IgG inflammation so you can live life to the fullest. This is why we must introduce exercise and movement in a gentle, sustainable, and systematic method. We do not want to cause damage to tissue; we want to use exercise as a modality to aid the body in this process of healing and restoration. This begins with breathing. Breath is the function that gives us life! I always begin with breathing techniques to focus on belly breath and working away from chest breath. This helps to restore the diaphragm and its function. Then moving into a gentle and movement based warm up. I tend to use a warm up that begins on the ground and works people up to standing. I see lots of success from using a developmental kinesiology approach to warm up and training. Developmental kinesiology looks to use the patterns we explored and developed in the first year of our life. Yes….this involves programming in many movement patterns we see in children! Some of these patterns include rolling, rocking on hands and knees, and crawling. I do not stay and train these patterns for a whole hour, but I use them to restore and rebuild! 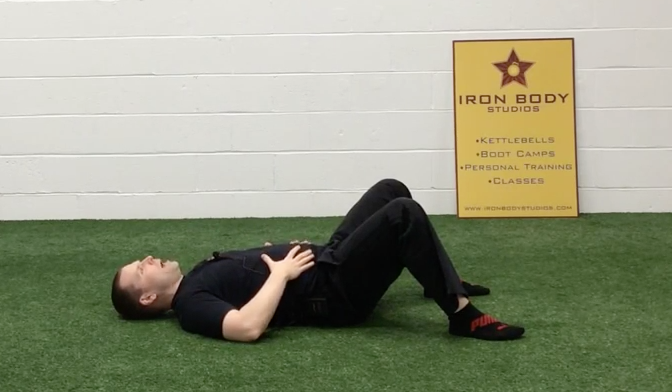 Start on your back (supine) and work in some belly breathing. Get the diaphragm communicating with the pelvic floor and helping you to gain back some reflexive core stability. Belly Breathing: Five Breaths then into Head Nods lift up and down; roll head left and right. Move into some light head nods. Head nods are taught in the Original Strength System and are a nice way to safely and effectively introduce head control in each new position. Head nods have been and continue to be a very effective way to stimulate the body of positional awareness. Teaching your body it is ok to be in a certain position and decreasing the “fight or flight” and be more in a “rest and digest” mode. Head nods are worked in the forward and back movement and also in the side to side movement (Look up, Look down; Look right, Look left). Working in head nods and the amount of movement are case by case. You should only work in a comfortable and controlled range of motion. After working in head nods on your back we then move into a supported position on the belly (prone). Work in some belly breathing and then some head nods. 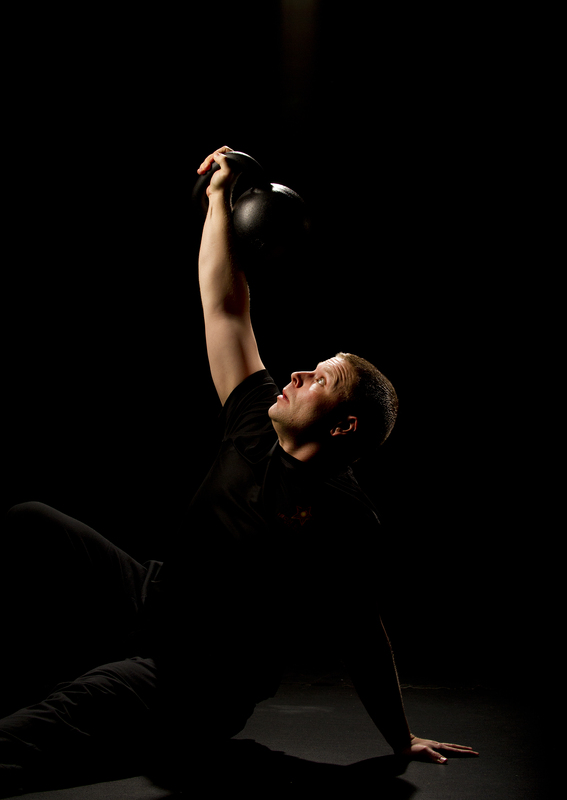 Then move into a supported prone elbow position. 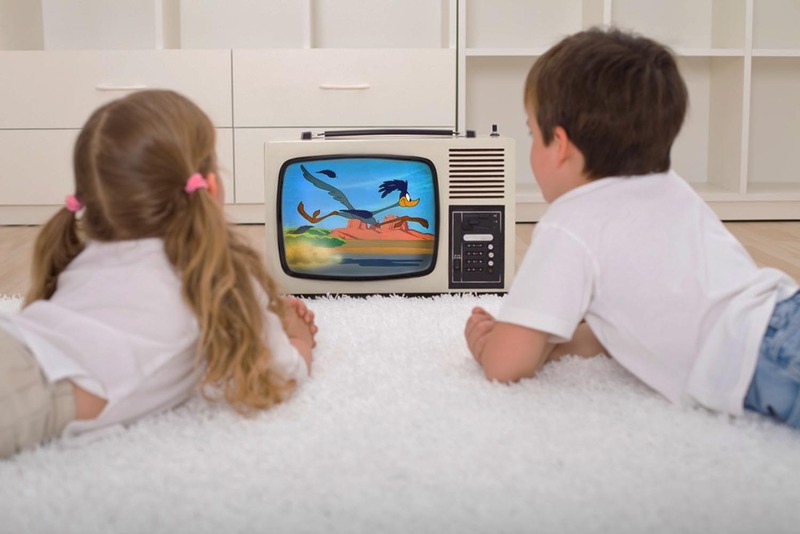 Similar to the position many of us grew up laying on the floor watching television. Prone position with elbow support. Good for t-spine extension and and building upper body stability and strength. Prone support Arms out in front. From here I move into some Egg Rolls. Rolling front and back and then side to side. 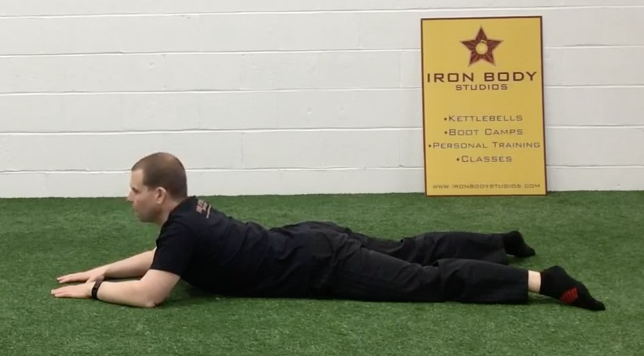 Egg rolls again stimulate the reflexive core and also help to teach the hip flexors to contract in a short length. Hold knees and Roll Back and then Roll to seated. Repeat for 5 then rolls side to side. As a side note this can feel really nice on the back with some soft tissue work. From the Egg roll we move to a hands and knees position. Many times in the rehabilitation world called a quadruped position. Hands and knees supporting the body. In this position our core is on as well as every other muscle in the body. 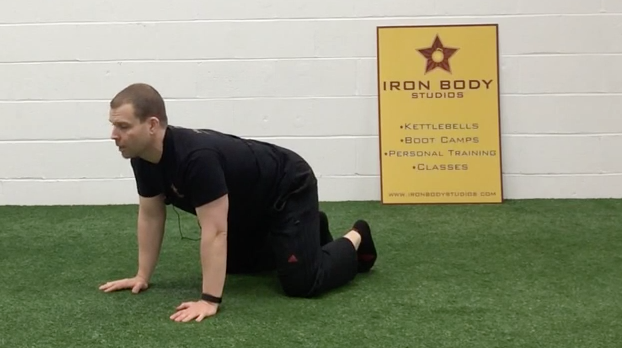 This is a gentle and nice position to build any strength and conditioning. I will use this in the beginning of the training process as well as continue to use it as a warm up and prep movement. The body responds really well to this position and will help in many tasks in life not only training. Because it is my mission to deliver training methods that will help to enhance your life and be wonderfully resilient with every activity! On Hands and knees work in some head nods; front and back/ side to side and then move into some rocking. Rocking is a nice gentle way to introduce hip movement and knee movement while supporting the body. The shoulders are also working. This Rocking position is outlined again in Original Strength. Rocking helps to tie in the upper body and the lower body while building great core stability. While you rock your mid-section should be still with a comfortable neutral spine. Understanding and working with a neutral spine is a must before I will do any weighted movements with a new client. Many times when we are recovering from an injury or candida, the ability to feel and understand where your spine is and sense its position maybe lost. In this hands and knees position we gain re-gain a spinal position sense and progress to other movements. Hand and Knees: Neutral Spine. Teach the hips and shoulders to move with a still mid-section. From a rocking position I will work in Bird Dog and Dead Bug Series. I call them a series because I have developed a nice flow to working the arms, legs, and combined arms and legs in both positions. This helps to build strength and even more importantly it helps to build mind to muscle coordination. This reflexive coordination (Mind to Muscle) is very important to recovering from and continuing to progress from a Candida overgrowth. Working through the process from breathing, to hand and knees supported position is important to recovering from candida and food intolerances, especially if you have not been able to exercise due to the signs and symptoms the candida. Many times when we have not exercised in quite some time we need these gentle strength training techniques to get us started in a path to full movement health. I always see great success with working in this approach with clients. 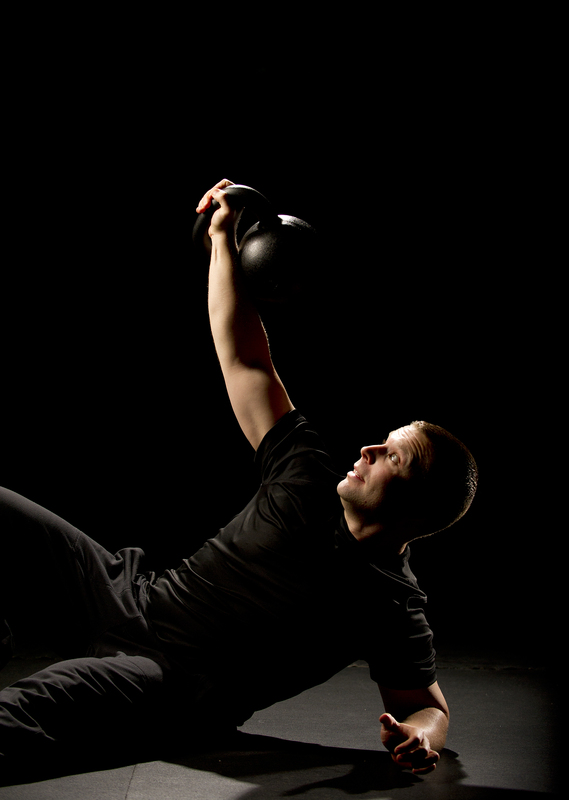 This exercise approach will get you moving and headed toward a path of strong recovery. Once the body tolerates this and the client becomes comfortable with the flow, it is time to process the movements. One thing to remember is that everyone is different. I see some clients progress quickly while others may take a few extra weeks. Generally though the more successful clients find time in the day to perform this routine once to twice a day. Many times when people are recovering from Candida a supplement must be taking in the morning on an empty stomach. After taking the supplement you must wait 20-30 minutes before eating any food or drinking. This is a perfect time to add in the exercise routine. Take advantage of the time to move and get your body in the right state to embrace and conquer the day! 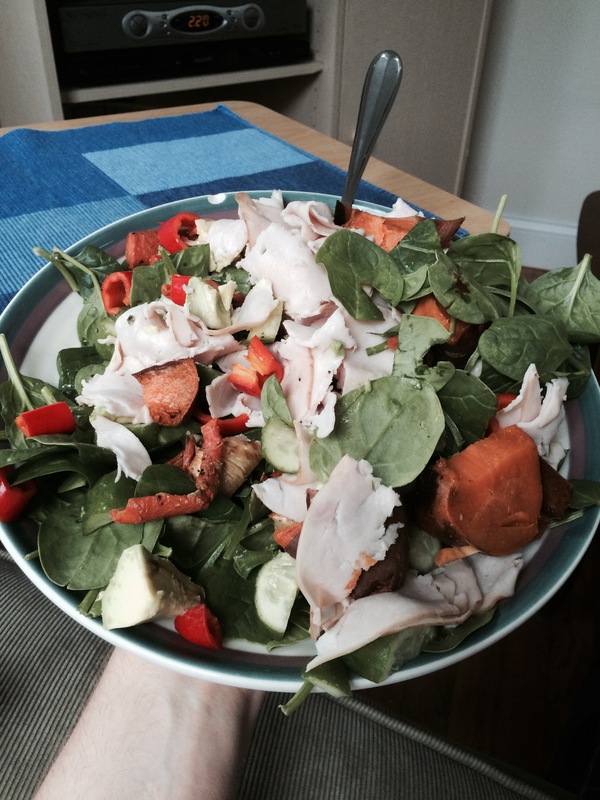 I hope this blog helps you to learn about and recover from candida and food intolerances. It can be tough to find the right path to recovery. Adding in exercise will help the body to recover and maybe more importantly build sustainable fitness for a health and active life. 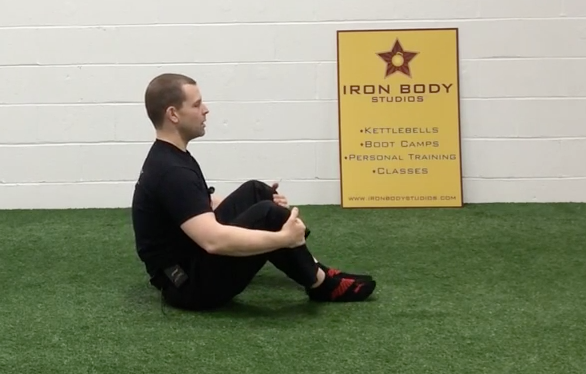 Try this exercise approach and I look forward to hearing any feedback on your recovery process. Below is an example of the approach I take and an actual distance coaching video I recorded and edited for my father to begin training and regaining his strength. Candida: byproduct of a lowered immune. One of the most common questions I received from my recent blog series was pertaining to Candida and what my course of diagnosis and treatment was going to be. Candida, which is a yeast like fungus, is commonly found in your intestines, however, in a healthy individual, its growth is usually limited by your immune system and by other good microflora. This yeast like fungus is normal and you cannot completely eliminate it from a digestive system. But we can control and manage the the condition. 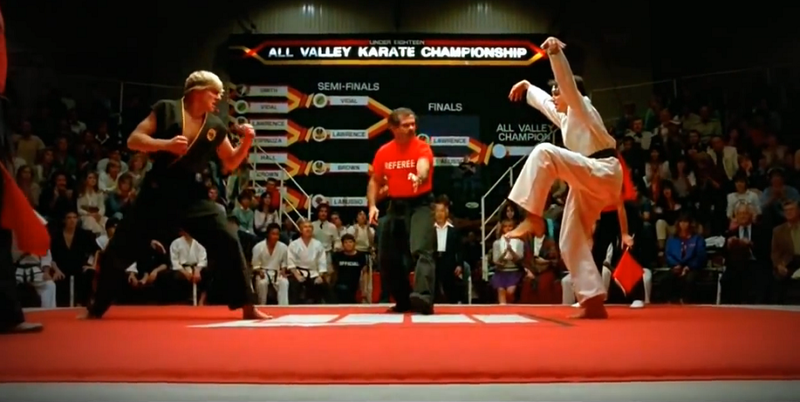 Classic Karate Kid Fight. Good vs Evil! Since being diagnosed with this overgrowth I have been reading from many sources and learning a ton. I see many resources out there proclaiming to help with the overgrowth and many supplements being proclaimed as the cure all. I even see one so called professional claiming a spit test can home diagnosis you with this condition. I call BullSh*t on this spit test. I do think some home remedies might work…but…I am not going to put all my money on a spit test telling me if I have an over growth of Candida in my body. I feel the most reliable and supported method is finding a medical professional with the appropriate certifications to help diagnosis you with a condition. Please remember; only a medical professional can diagnosis you with medical conditions. My method of testing was a blood test. A test that gives a piece of information happening in our body. Tapping right into the information lines in my body and giving a direct message as to what was happening inside my body. My blood tests came back with an abnormal elevation for the presence of Candida. This condition may be pretty common in our population due to the high level of antibiotics in our food, and high levels of over prescribing of antibiotics in our medical professional population. We also have a high stress life these days with constant stimuli coming in all directions (phone, email, internet) and the many hours we are working. That being said, many people are taking advantage of this Candida condition, tapping into a common problem and trying to develop a quick fix. This happens all over our society, it is especially popular in the health and fitness world and even the rehabilitation world. Everyday you see a new and improved product to help you lose weight and get fit! Fix that back pain forever with this little patch to wear! The common problem: obesity and heart disease…..exercise it off (crazy titled workout videos i.e. insanity, P90X and something you do in 24 mins)(remember 8 min abs…..did you see anyone getting 8 min abs…nope) or…join this diet….drink this shake. Quick fixes, tend to only be a a waste of time and money. Don’t do it. Invest in the long term! Lets get back to the topic; we see many “professionals” claiming to have the 6 week fix to Candida. Well, I am here to tell you there is not a 6 week fix to this problem. I know…call me mister negative. But really I am not being negative, I am being mister honest and true and hoping to instill hope in everyone reading this blog. So don’t waste your time and money on a quick fix, when in reality after you finish the 6 week “cleanse” you have not really treated the underling issue that started the Candida over growth. The truth lies in finding a medical professional qualified to help you with this condition. It takes appropriate testing, it takes dedication to make lifestyle changes and it take sacrifice to make the changes. You may even end up being a little different from the popular trends happening. Thats OK! It’s ok to find your proper nutritional path to make you feel great! Be proud of taking control in your nutrition and your healthcare. I am going to give you a sample of my experience and I will let you choose if this sounds logical and sensible to create a sustainable change in my life. 1) I visited with a medical professional that sat and discussed my medical and health issues. This took about an hour and a half. She took detailed notes and discussed all aspects of my life. Past, Present, and where I would like to be in the future. 2) Determination by the medical professional as to the right types of testing to be done and gather information on my body. I will note, at the end of our first visit….she gave me no information to try and help me…she explained that we needed to gather information first and then when the results were in, we would determine a course of action. 3) Test results were in. I learned I had many food IgG food sensitivities. Many of these outlined in my post: The Burn and the Bloat: Part 2. These food sensitivities were compromising my immune function. 4) I worked on eliminating the foods that caused IgG issues and at the same time I worked on follow a level two nutrition plan to help support decreasing my levels of Candida. At my healthcare providers office they provide a Candida Nutrition plan based on the levels reported in testing. Level one for mild elevation and level three for very high elevation. I was given the option to follow level two. 5) Supplement support for my immune system and high potency probiotics to begin introduction of more healthy microflora to my GI. 6) Being consistent and following the plan. Understating that the changes are going to be slow. Consistency and dedication will be the key to success. After all, it has been years my body has been dealing with the food sensitivities and Candida. My body must rebuild and heal my GI. It will not and cannot be fixed permanently in 6 weeks. It takes time! Many times we focus so much on the Candida (or any other heath issue) that we tend to actually dismiss the underlying issue, and dismiss gathering information as to what might be the cause of the condition. It far too common to prescribe a pill or a group of supplements to work on candida. The candida for me was a byproduct of a immune system malfunction. Or more simply put, my immune system was so focused on the food sensitivities and fighting the IgG inflammation triggers it could not help with the unhealthy amount of candida growing in my GI. It has been approximately 10 weeks since I began my elimination of food sensitivities and following a Candida Level Two nutrition plan. I have seen a gradual change in many things in my life. One of the most notable area is my ability to recover from training. I feel changes happening in my movement and also in my strength. I can feel changes in my hips and thoracic spine that are allowing me to progress in my training. This past week on 3/13/2015 was able to Dead-Lift a single rep of 315lbs. In this video you can see how I am able to get my back in position to pull the weight with my hips. I produce tension to protect my back and allow my hip to perform. This is how we all should train a dead-lift. Avoiding any back movement, producing stiffness in the back to allow the hip to move strong. If we cannot get into this alignment, well, then….something else will do the work and our movement will be compromised and we have a higher potential for injury. Please note this took me almost 4 years to re-build after a few nasty injuries that were out of my control. Finally, please invest in the time and effort to follow a quality path for nutrition and fitness. This treatment is taking me down a path to live for the rest of my life. A path that will work to help ME be at my best. As I am waling down this path I am noticing more and more how the food and drink we place into our body has a very large effect. Look for a professional to help you to find your path. Once you find your path, you will notice, your health will improve, your movement will improve as these two areas improve you will be well on the path to have the image of a healthy mind, and body. If you need help in either of these areas I am always happy to help. I have detailed training methods as well as nutritional coaching packages to help you to progress to any goal in life. Visit On-Line Training with Eric Gahan for more details. As I left the doctors office with my results I did feel a little overwhelmed. The fact that I need to make a few changes in my routine can always be a challenge. The biggest thing I have learned from living life, is that change can be a good thing. Change means progress, change means learning, change means a fresh approach on some old habits! So I took a few days to read over the material and develop a game plan. It’s not like I was going to walk out the door and jump right into a new nutritional plan. 7 P’s: Proper Prior Planning Prevents Piss Poor Performance. One of the biggest things holding me me back was that I went food shopping the day before! Yup, I had restocked on several food items that were 1,2, and 3s on the sensitivity testing for my IgG and candidiasis. So, I could not and would not go home and throw all the food away. It took about a week to work through the food we had bought and I had a solid plan for my new nutritional needs. The first plan was to make sure I was getting in some clean nutrient dense foods in the morning time. Everyday (well 6 days a week) I am up at 4:30am getting ready for a full day at Iron Body Studios. I am currently following a macro nutrient plan designed by my studies of Precision Nutrition. I am on a plan that involves me taking in 174g of Protein, 124g of Carbs, and 88g of Fat. This formula of macros is designed for me and my needs. This works out to be 1984 calories a day. I do not track my calories though…I keep focused on my macros. My plan was to begin making meat muffins for my morning eats! 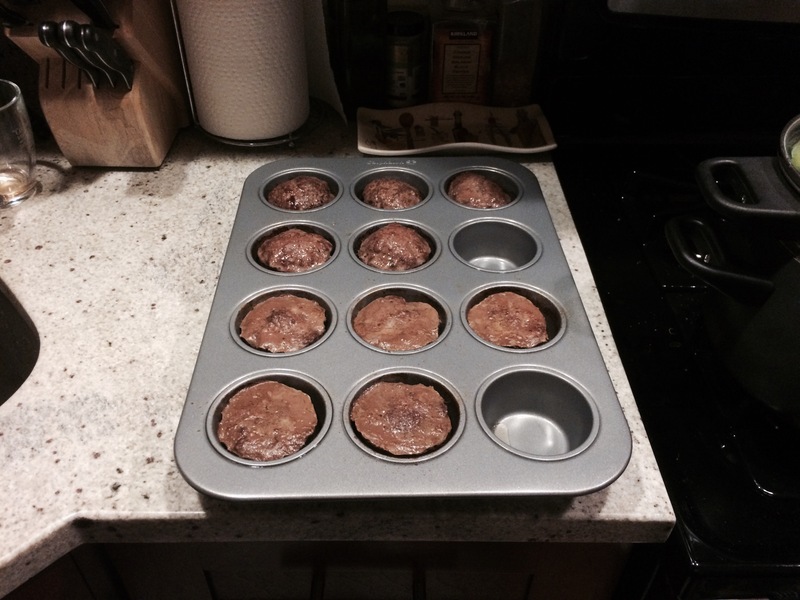 I call them meat muffins because I use a traditional muffin pan to make them. 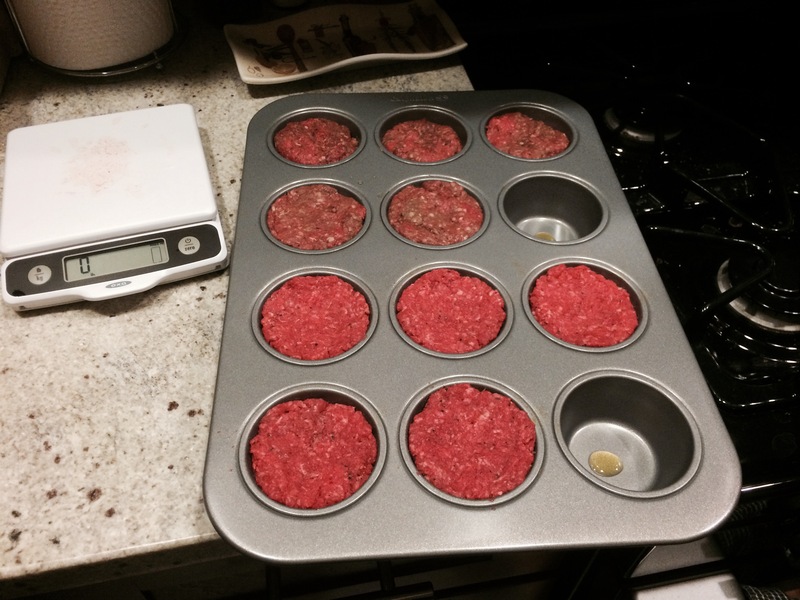 I will take 2 pounds of meat (either ground beef, turkey, or bison) and ball up 3oz and pack them into a muffin pan. 2 pounds usually yields around 10 meat muffins. 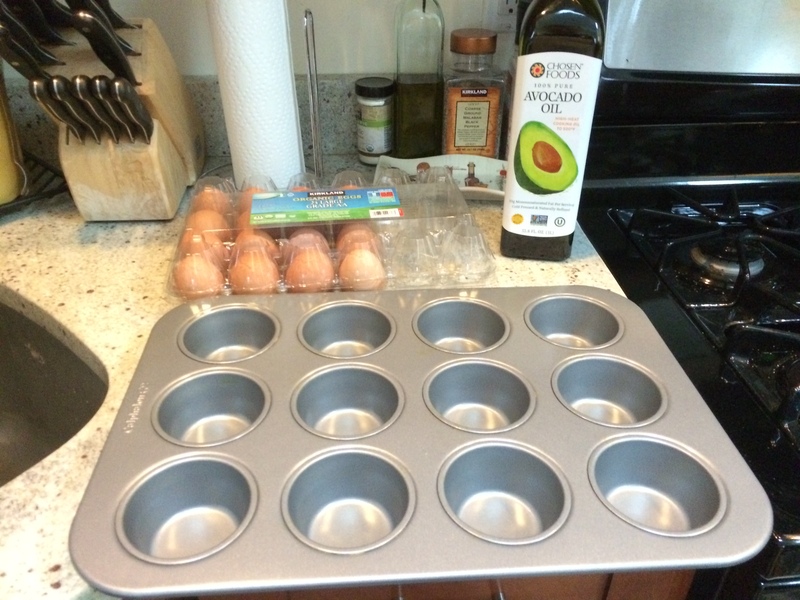 In each muffin I keep the recipe the same. Celtic sea salt, organic black pepper; clean and easy. Each 3oz meat muffin has approximately 21 grams of protein. I usually take in 2 of these at the studio with a piece of fruit in-between clients, classes or small group training sessions. Blend in Ninja for about 5 mins. I have learned to let this blend longer to make it very smooth. I use a ninja and it takes a little longer to get a smooth blend when compared to a VitaMix. I would love to get a VitMix in the future! I drink about half of the shake in the morning while on the floor training clients, classes and small groups. I then take this shake and keep it in the fridge for post workout. The combination of foods I eat in the morning helps keep me fueled up and feeling great all morning. I tend to train myself around noon when we close for the morning. I do have good energy and nice training sessions. One of the major things with this new approach to eating and following my Precision Nutrition guidelines for my needs was purchasing and using a food scale. This allows me to get a good tracking system on the macros I am taking in. I noticed that what I thought was a certain amount of protein actually was not the correct amount for my needs. I was taking in much less protein. With the addition of the food scale I am now taking in much more protein and feeling much better with my eating plan. Using this scale also helped me to see how much carbs and fats were needed. 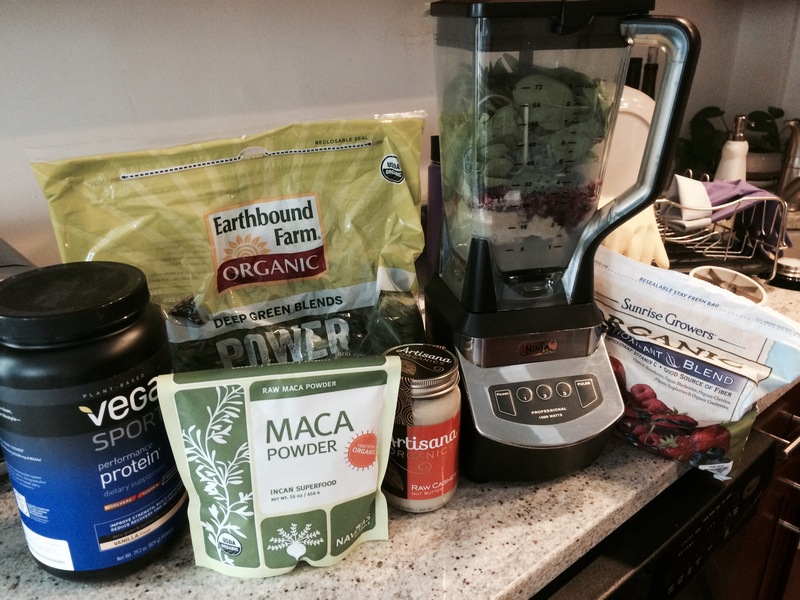 It is amazing when you get your nutritional needs in check…..you feel so much better with training, life, and sleep. In addition to the food sensitivities; I also needed to get accustom to the Candidasis Level II nutritional treatment I was going to be following. Really the candidasis treatment fell right in line with my current nutrition. Its a focus on keeping out processed foods and sugar. This approach is supposed to starve the candidasis and allow it to drop to normal levels in the GI. One thing to note is that the Candidasis Level II nutritional treatment is a plan I have to follow for 6-12 months. When the 6-12 months is over a re-evaulation is done. Once re-evaluated you then make a decision on adding some of the foods not allowed back into your nutritional needs. Honestly, I am doing great and not worried about adding back in the foods. Many people these days would also be upset with the time frame for following this nutritional plan. A majority of society seems to be fixed on immediate results and look for a solution over night. In reality, an over night fix is not sustainable for the rest of your life. My body has to be introduced to a sustainable nutrition plan and notes must be taken on the small changes. I have been managing this condition for years and I am prepared for the long road to recovery. If one year of following this plan means the next 20-30 years of no stomach pain and inflammation. SIGN ME UP! Life is not immediate results. It takes dedication and consistency to see changes with the human body. This is in any area of the human body; rehabilitation, strength training, changing and adapting to new movement patterns, and defiantly with nutrition. One wonderful thing is that the human body is resilient when respected, it will change and will heal itself if done properly. 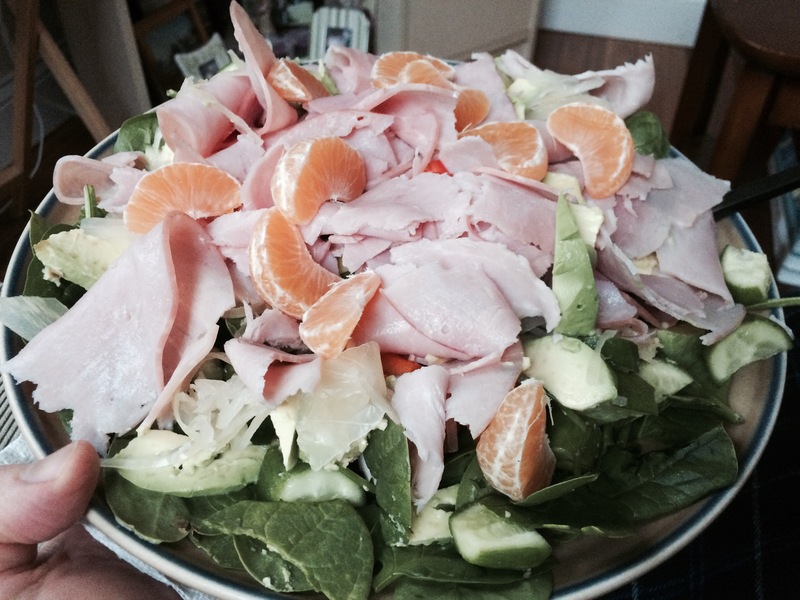 Turkey, cucumber, baby peppers (red, yellow, orange) 1/2 avocado, clementine, on a bed of spinach. This lunch has some sweet potato. It was a post workout meal. I only take in starchy veggies when within the window of 3 hours following a workout. Otherwise I stick to non-starchy veggies. I hope this 3 part series has helped people to understand that help is out there for many conditions. You do not have to always follow the standard treatment of many conditions, if you find a qualified health professional with the proper certifications to make the proper decision on a plan of care, there is hope. I will continue to come back and update some of the topics happening with this post series. If you have any questions please feel free to ask. I will do my best to answer within my realm of care, practice and training experience. A follow up may include an overview of how my training programs are being effected with the nutritional changes. One quick note about my training. I am keeping it simple. My goal right now is my nutritional changes, my strength will be in focused on nutrition to heal my stomach and GI. You can not have success if you focus on too many goals. Find one…crush it..incorporate it…then build off it to support your next goal! This is living a sustainable healthy life for yourself and others around you. 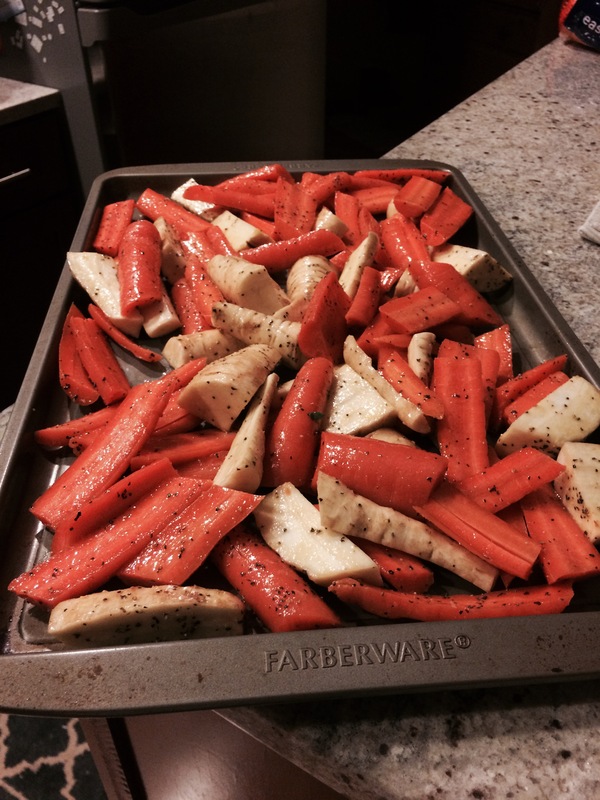 Roasted carrots and parsnips. Salt, Pepper, and olive oil. Roast until nice and brown. I have grown to crave these and will make them to go with my dinner. In my last post Burn and the Bloat: Part 1, I outlined some the the reasons for my venture into functional medicine. Please be sure to go back and visit Part 1 if you are new to this blog series. Looking at nuts, seeds, and coconut this was tough to take. On a regular basis I was eating almonds, coconut, flax and chia seeds. Theses were a major source of nutrition for me in my morning shake and some afternoon snacks. Both in butter and milk form. Another big hit was seeing eggs on this list. Eggs were my easy go-to protein. I would bake them up for Artemis (seen below) and I for the week and also eat them on the weekend for our morning brunch. This was hard, but I understood and I needed to work on taking them out of my daily nutrition. Set up for baking Artemis some eggs. Not for ME! Easy way to prep for the week. NOTE! Don’t use avocado oil! Use Coconut oil. Many of the other items were not too hard to eliminate out. I was used to not eating several because of the link to my migraine headaches. I learned through trial and error over several years that oats, wheat, gluten, and pasta all triggered migraines. So they had been long gone for years. I do have to say tomatoes was a interesting find. I love growing tomato plants in the summer and enjoy a nice salad with them. I have taken them out, we will see how my body begins to feel. This might be one food I choose to try and incorporate back in with moderation when the summer time comes. 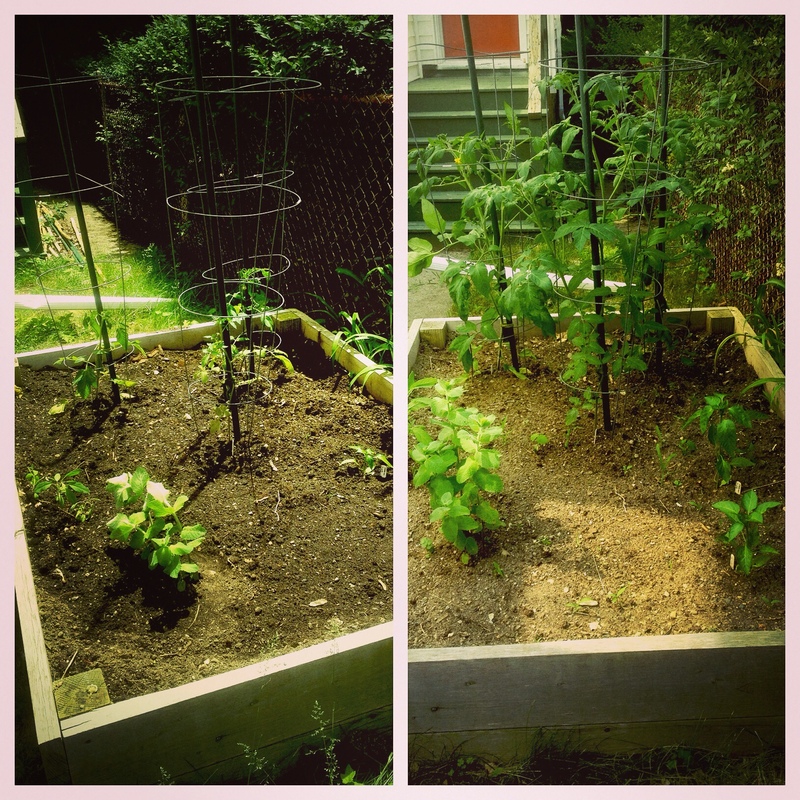 Summer 2014 June on left and July on Right. Pictures are about 30 days apart. 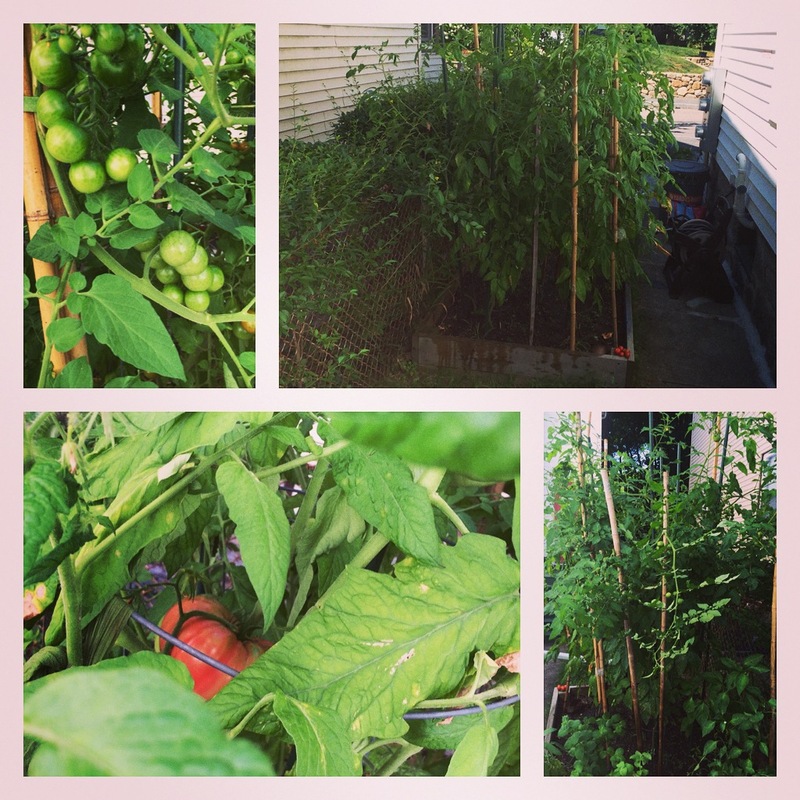 My tomato plants in the summer of 2014. I get these from Artemis’s father. He is a master gardener! You might be asking; What is the big deal? Why take these foods out of your diet? Well, here is the thing. Taking in these foods cause my IgG to get angry (trigger an inflammatory response) when they enter my stomach and GI. This then results in inflammation in my gut and intestinal lining, when this happens my body begins to attack the food as an invader….not as a helper! So, instead of the food helping me have great energy and recovery, my body is attacking it and trying to get it out. It sees the food as bad; and when things enter the body that are recognized as bad; the body takes high priority on getting them out. SO! This is why the IgG food panel is important to ME. Please do not try to replicate the things I discuss in this blog and my diet with yourself. The path I go down with my nutrition is specific to me and only me! The body makes different immunoglobulins(IgG) to combat different antigens. For example, the antibody for chickenpox isn’t the same as the antibody for mononucleosis. Sometimes, the body may even mistakenly make antibodies against itself, treating healthy organs and tissues like foreign invaders. This is called an autoimmune disease. Once an antibody is produced against a specific antigen, the next time that antigen enters the body, the immune system “remembers” its response and produces more of the same antibodies. In that way, checking for the presence of specific immunoglobulins in the blood can be helpful in diagnosing or ruling out infections or certain other illnesses. Doctors also rely on the immunoglobulin test as one of the tools to help diagnose immunodeficiencies (when the immune system isn’t working properly). A person can be born with an immunodeficiency or acquire it through infection, disease, malnutrition, burns, or as a side effect of medicines. Doctors may suspect an immunodeficiency in people who experiences frequent or unusual infections. If I can avoid triggering this response, the better. I want my body focusing on creating antibodies to help sustain a healthy lifestyle. The second piece of information discovered was that I had an over growth of Candidiasis. I did not have a healthy environment in my stomach, or GI. Therefore this lead to an overgrowth of this fungus in my GI. Common symptoms of for me included: fatigue, bloating, and gas. This over growth was also confirmed by blood testing done with the comprehensive food panel. I also want to point out that all standard western medicine blood testing was done. A look at all aspects of every function happening in my body. Other than these two things, my blood was extremely healthy. My healthcare provider was actually surprised at the blood work and how well it read due to the level of food sensitivity my IgG revealed and knowing I was eating some of those foods on a regular basis. The third piece of information in my results showed I had no food allergies. I had no response to IgA. The only IgA I have is an allergy to grass pollen. This I also already knew from years of growing up and having to avoid cut grass in the early summer. The forth piece was looking at waste product of my body. I will not go into detail about this, besides telling I did not have enough good bacteria in my GI. So why change my nutrition if my blood work was looking spot on? Well, except for the food panel and candida. First I wanted to get off the nexium I was taking daily. Second I was not feeling great. The western tests showed I was healthy and doing well but this did not match how I felt. I could not handle the stomach burn and the intestinal bloat. It was just too much for me and I wanted to feel better. Finding out my sensativites in the IgG testing would allow me to eliminate out the foods triggering a GI inflammation response and allow my body to begin healing the stomach and GI. Creating as much balance as possible in my stomach and GI. I officially began the nutrition modification after Christmas. Monday morning on December 29 I was all in and ready to go. I took out all the foods listed above and began to follow my new nutritional path. I have to say as of today 1/14/15 I am beginning to feel some of the changes happening. My mid section feels less and less bloated. I am tracking this with standard tape measures from week to week. When I first began (12/29/14), standing with my belly relaxed I measured 39 inches around the area of my belly button. Right now I have seen this go to 38 3/4. So about a 1/4 of an inch in less than 2 weeks. I have also see my weight go down to 169 pounds. I began at around 173 pounds. I do want to point out weight loss is not the goal of this plan. Weight loss is just a byproduct of getting my stomach and GI functioning properly with eating foods that work for ME. I also had a plan for this switch. I did not go into it cold turkey. 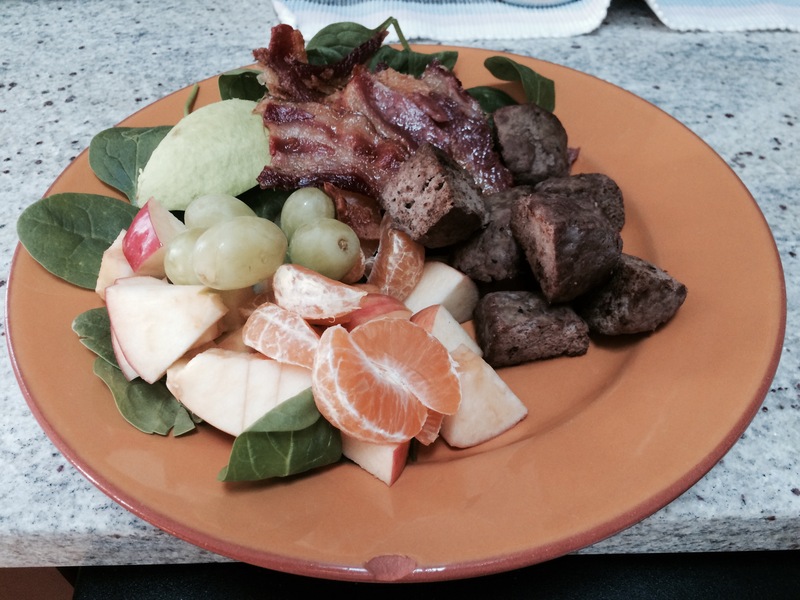 I will outline my nutritional plan in new blog posts. I am now off the nexium and working in supplements to help heal my GI and also take the stress off my adrenal glands. I am not going to list out those supplements, I feel listing out supplements will not help anyone. My herbal supplements were prescribed to me by a healthcare provider with a certification in functional medicine and this I am keeping confidential. I will be sharing how I am working with my new nutritional guidelines. Tips on how I am getting all my protein in and also how I am working through the Precision Nutrition guidelines for my body build and activity level. I am currently working on the Precision Nutrition certification now. I am NOT having any stomach burning or pain. Things seem to be falling into place and I am happy with where I am headed. This is even after coming out of one of the most stressful November and Decembers I have ever had in my life. Owning a business continues to test my desire and dedication to move from being just good to GREAT! I am happy with this approach of treatment because it puts me in control of my body and learning about what helps MY body. I was sick of just taking a nexium and masking the problems with my stomach and GI. I believe I will get better and I believe my body will heal. This hope and strong belief is what allows me to keep moving forward. We must have the mind involved in the process as well. The mind is so powerful and if used in the right way, nothing can stop us toward living a healthy happy life! Putting out the burn and deflating the bloat! In this part one of a series of blog posts I am going to outline some of my personal stomach and gastrointestinal tract (GI) issues. The course of treatment and the results they are having in my life from day to day, week to week, month to month. This series of blog posts is to demonstrate a more functional method of treating some conditions we live with. Working to resolve and heal a health condition with medical professionals that are skilled in the area of functional medicine and also know when is the right time to turn to standard western medicine. Functional medicine is growing in popularity in 2015. My problems with acid reflux and stomach pain began at a very young age(about 14-15). It began when I started taking an aspirin in the morning to help manage chronic migraine headaches. As a teenager I would suffer from migraine headaches from a month to month basis. The headaches would keep me out of school, home from fun events, and effect my athletic events in high school. The pain would be so bad that I was convicted that some damage had been done. As management I was sent to see a neurologist for testing. The treatment options were daily shots or taking a small daily dose of aspirin. As a teenager there was no way I was going to stick a needle in my thigh! So, I took the aspirin; and like every teenager I rarely ate a nice healthy breakfast. Yes, I remember my mother telling me to eat…but I was too busy rushing out the door in the morning to catch up with friends to stop a moment and eat some food with this small little pill. It took a little time, but slowly and surely I started to develop some stomach pain. Along with the pain came some blood in areas I was not quite sure about. Long story short I was a 15 year old with a bleeding ulcer in my stomach as diagnosed with an endoscope. I was placed on a dose of Zantac(this was the early 90’s). My stomach slowly healed and from that point on I was on stomach medications to control my chronic pain and discomfort. Fast forward 21 years to this Fall of 2014. I made the decision to seek out a medical group and a healthcare provider to help guide me through the process of getting off stomach medications. I made this decision based on a couple of issues happening with me. First, I was always feeling bloated in my mid to lower stomach. This seem to have no rhyme or reason, and this feeling did not match my level of activity. It seemed no mater what, this bloat feeling was always present. I had grown so a custom to this feeling I seemed to always be walking around holding in my stomach. This needed to change. Second, I did not seem to be having good recovery from training. Following a training session some areas of my body would feel very sore and almost painful, while other areas of my body felt as though I did not even train. It did not make sense to me as a person who has exercised since the age of 12 and also as a professional with a BS and MS. These two areas in my personal life lead me to seek out a new healthcare provider. The search did not take long and I made a phone call to gather more information. I had a great discussion with a representative of the healthcare group and was paired with a provider to match my needs. I was not too sure what to expect in the first visit. They did the standard procedure of gathering critical health information and then my new healthcare provider came in to visit and examine me. We talked briefly in the examination room then a standard physical was done. Once this was finished we went to the office of the healthcare provider. We sat and talked for over an hour. She took notes and I filled her in on my past. She was impressed with my level of detail in my nutrition and my memory from the past. I explained to her that up to this point I had modified my diet based on how it affected my migraines and my energy level. I listed the foods I take in on a daily basis and also listed out the natural supplements I was talking in daily. At the conclusion of the appointment she decided I needed some standard blood work done but I should also have some more detailed blood work added in. This blood work was something I had to pay out of pocket. She explained that this was going to give us some important information in my nutritional needs and sensitivities. This test was an IgG blood test for food sensitivities. It looked at 150 different foods and the effects on IgG. She also had some tests done on my body waste products looking for fungal and bacterial overgrowth. I will tell you that this type of testing is still in the “questionable” area of medicine. You see, if you go to many formally trained western physicians they will dismiss the test and say it does not give us much information. I disagree. I feel this can give important information as to what is happening in the blood when we ingest certain foods. For 13 years or more I have been involved in the healthcare community, and I feel if we are not constantly progressing and investigating new areas to give us new information then we are not progressing at all. When I first started in the rehabilitation area of healthcare, it was cutting edge to have certain ACL (anterior cruciate ligament) procedures done and cutting edge to have certain rehabilitation protocols used for a more timely return to sport and life. We only progressed by pushing the boundaries and investigating new areas of the human body. It has to make sense though….I am not game for using methods that do not make sense both medically and logically. This is where I stand on IgG testing. It give us information; how you use that information is up to us. I will be using it to heal my stomach and GI! As mentioned before I also had some testing done for fungal and bacterial overgrowth in my stomach and GI. This can be valuable as well because I have been taking prescription medication for years that can have an effect on the healthy fungal and bacterial relationship happening in my stomach and GI. More and more information is surfacing now on the importance of a healthy digestive tract. If this balance is off in our digestive tract then we are not absorbing important nutrients to sustain a healthy life. Like it our not….we are filled with many bacteria in our body….both good and bad. We have to help support the good to help maintain a healthy and sustainable immune system. I hope you enjoy this part one of a multiple series. I have the next post in the works now! Again, my blog is looking to provide insight, hope, and inspiration to other to seek out help to become the best person you can be. Both physically and mentally! As we encounter a new year we have many new challenges and opportunities. As everyone has goals for the new year, I have several as well. Some professional and some personal. I am going to list off a few of my goals working into the 2015 year. I will post on them and share progress on each one of them. I will share my goals to let everyone know that WE at Iron Body Studios are authentic and never stagnate. Both Artemis and myself strive to keep our services current and progressing toward being the best to our community. We find many new things through personal experience and through education. Talk the talk, walk the walk! 1) Post on this blog at least once a month(it’s only 12 posts)! 2) Fix my torn up stomach and GI! I am currently on a path to balance my stomach and digestive tract. I will share my experiences of getting off stomach medications (the purple pill). I have been on stomach medications since the age of 15. I have found a supportive and educated functional medicine group to help me with this process. 5) Learn and begin to implement an autism and special needs training program at Iron Body Studios. This includes first learning more about the population, second hosting a autism fitness workshop, and third implementing a training program for the population. I have had the privilege to connect with the leading professional in this area and looking forward to developing this professional relationship. 6) Share all my experiences as a person continuing to recover from back pain. It has been a little over 3 years and I am always working toward keeping myself moving and healthy. This is to provide inspiration to those looking for help. The number of individuals that suffer from back pain is significantly high and can be something that can destroy individuals physically and mentally. 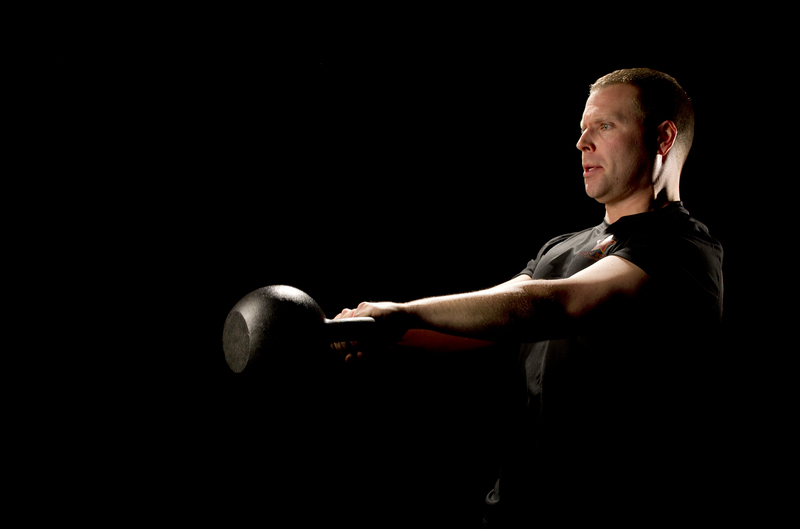 It is a condition that requires consistency and a systematic approach to overcome and regain movement and strength. Over the course of 2014 many people have asked me to share my testimonial on recovering from dysfunctional movement and back pain. I will do my best to share any and all knowledge gained from this journey! Looking forward to a great 2015 and I hope you will follow the posts in Forging Fitness blog. When we enter into the public eye as a professional in the fitness, post-rehabilitation or the strength and conditioning area we have to be conscience to the audience we are reaching out to. We must be conscience as to how we project ourselves and we must respect the community who reads our information and the questions they have about the information we post. This being said, recently I had an interaction on twitter with a fairly well known fitness and strength coach. I was introduced to the professional several years ago and gained respect for the information he was publishing and promoting on the internet. His information was always clearly outlined as to why he was supporting a certain system, method or individual. Although on Friday night I received an email from this person promoting a free resource with hundreds of kettlebell variations from an expert in the area. My first thought was not just to click on the link to the YouTube videos, but, I wondered who is this individual? Why have I never heard of this person and I would love to learn something new. Now, I consider myself NEVER to be educated enough and always have an open mind as to new thoughts and movement patterns, ideas. I proceeded to google to search this individual out. I found nothing for this person to be a an expert as described in the email……. All that was listed in the email was……. “Sometimes, it will be unique content from an expert I’ve learned from in our industry (like today’s e-mail – see below). I do not want to get into the details of the communications. But, the point of the communication was missed completely by the individual sending the mass email and any professional objectively reading would see that in our twitter exchange. I was looking for a professional endorsement as to why this fitness and strength coach was looking to refer so many people to this YouTube video. I was NOT criticizing movements and training style….which is where he took it. To finish, we are in the public eye daily and we even have our own blogs and websites. I am open to all ideas and new concepts. I am constantly changing and evolving in my own practice as strength is a skill. But please list why you are supporting an induvidual you are classifying as an “expert” in an area. Just calling him your “buddy” is not enough to draw me into learn from you. Have professionalism, have a higher standard. As stated by colleague of mine in Columbus Ohio, “I am not a hater. I just have higher standards.” Please do not get angry when you are challenged and asked questions, but instead give me an educated answer so I can make a educated decision about if I am going to continue to listen to the ideas you teach. Because I do know, I am in the business to ask questions to better help the people I serve. Forging Fitness Blog is Launched! Welcome to Forging Fitness Blog by Eric Gahan. In this blog you will read my thoughts, experiences and readings as an athletic trainer who is passionate about helping people to eat great, move great, and move strong. I am creating this blog for fitness professionals, rehabilitation professionals, and most importantly my clients to come learn and demand for better. I always strive to give my clients and peers the best of what is available to them through me. In this blog you will get to hear about what does work and what does not work in fitness and rehabilitation; it will be all backed up with formal education and formal practical knowledge.